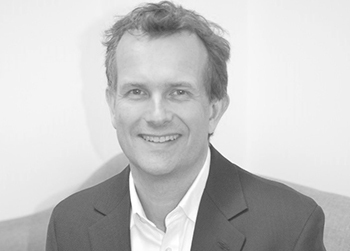 Mark Beeston is Managing Partner and Founder of Illuminate Financial Management LLP, the Fintech Venture Capital firm. Illuminate are a sector specialist investor with a deep network of strategic partner institutions and investors that help bring value to their portfolio companies. Prior to Illuminate, Mark had a career spanning banking, entrepreneurship, a leading interdealer broker and serving as an investor and board member. Before founding Illuminate, Mark was an executive committee member of ICAP (now NEX) as CEO of their post trade risk and information business. He had responsibility for companies such as Reset, ReMatch, TriOptima and Euclid. At Creditex he joined the executive committee and launched T-Zero (now ICELink), growing the company from start-up to exit during it’s acquisition by ICE in 2008. He began his career as a fixed income derivatives trader at Deutsche Bank in 1992 where his roles included COO for Global Credit Trading and COO for Global Rates. During his 13 year tenure at DB Mark represented the Bank at board level across numerous industry companies and associations including ISDA, Markit, Swapswire, OTCDerivNet and DTCC/DerivServ.